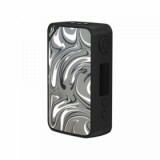 With power and beauty, Eleaf iStick Mix Box MOD can provide you a quick firing and excellent vaping. 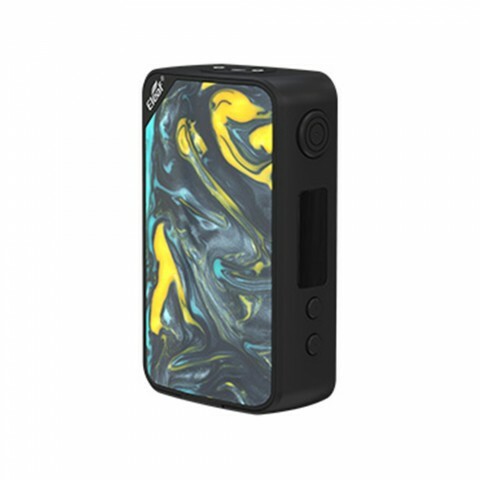 It also adopts the distinctive IN Molding Label (IML) technology for high-reducibility, and advanced Avatar chip to produce optimized and stable flavor for you vaping. Eleaf iStick Mix Box MOD is coming out with power and beauty. 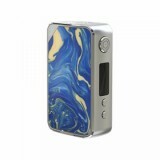 it is a beautiful resin MOD and compatible with ELLO POP Atomizer to combine into Eleaf iStick Mix Kit. it also adopts the distinctive IN Molding Label (IML) technology on its double-sided panels for the feature of a high-definition, wear-resistant, high-reducibility. 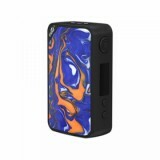 Powered by external dual 18650 batteries and the advanced Avatar chip, the iStick Mix MOD can quickly fire up to 160W output power and provide you a stable vaping. • No batteries inside, you can buy batteries in BuyBest. 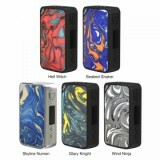 • Eleaf iStick Mix 160W Box Kit, Ello Pop Glass Tube, and Eleaf ELLO POP Atomizer are also available in BuyBest.